I managed to survive the holidays and was able to reach my original weight loss goal. I'm going to begin the New Year as Me, but with a new way a life, a healthier one! Now, I'm focused (and determined) on losing another 10 pounds in my final 5 weeks on Nutrisystem. Losing weight isn't all about a lower number on the scale. I have to take the time to appreciate my non-scale victories as well. This may seem a little silly to some, but this week I'm celebrating boots! Yes, my boots! I can FINALLY wear fashionable boots like Uggs and "snow bunny" boots. My calves were too big before, and I could never find ones that would fit. This winter I bought 3 pairs and I absolutely love them! That brings my total weight loss to 52.8 pounds! Want to lose weight and get healthy on Nutrisystem? I was selected to participate in the Nutrisystem Blogger Program. I will be receiving free food and weight loss support in exchange for my participation in the #NSNation program and weekly updates of my progress on Nutrisystem. Regardless, I only recommend products or services I use personally and/or believe will be a good fit for my readers. The views and opinions expressed on this blog are purely my own. No monetary compensation was received. Individual results will vary. On Nutrisystem, you can expect to lose at least 1-2 lbs. per week. 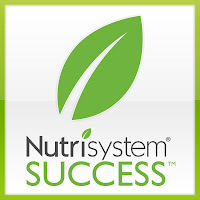 If you've been wanting a great program that helps you lose weight, NOW is the time to join because Nutrisystem is 50% off! In addition, I can send you $30 in Buddy Bucks good towards your first order. If you're interested in ordering, send me an e-mail and I'll get you a $30 coupon to help get you started on your weight loss journey! What is your most recent non-scale victory? Recently I have lost some inches, by just the massive amount of running around I have been doing for the holidays? This is super Bridget!!! I've been thinking about doing the Blogger Program too---but I honestly didn't know if I wanted to be cooking two meals-mine and rest of family every day. BUT I totally get the calf thing!!! 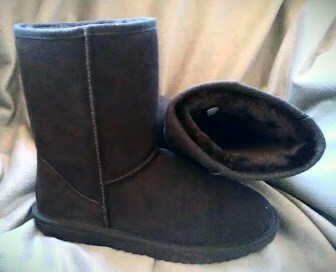 I'd love to be able to get a cute pair of Uggs. I'm started the 21-day sugar detox tomorrow, and trying to cut my sugar addiction. Wahooo!! Way to go reaching your goal...and during the holidays!! Enjoy your uggs, they are the best!! So awesome! I need your motivation. I lost 15 for 2012 and I hope that there is less of me in 2013! CONGRATULATIONS!! I am proud of you!!! You and other bloggers are motivating me to get on the right tack with my weight loss journey. THANK YOU ALL SO MUCH for your comments and support! Congrats on your weight loss and lost inches! My recent victory is working more with brands on my blog. Wow! That is awesome! Congrats to you!